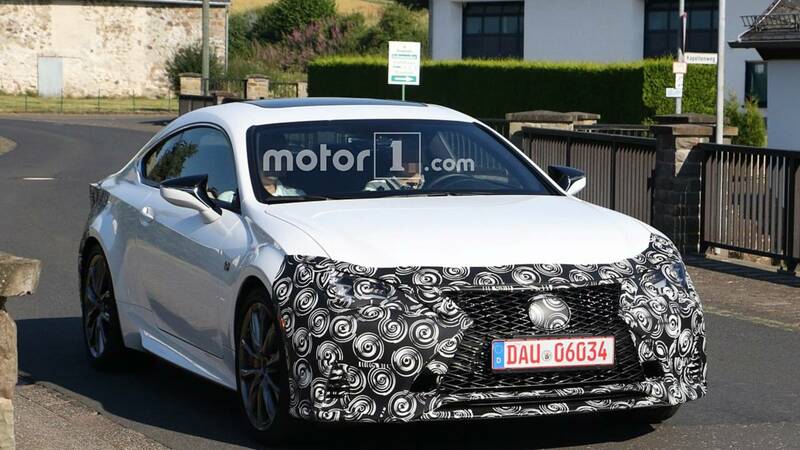 Sleeker headlights and new wheels give the RC F a similar look to its LC sibling. [UPDATE, July 24] 16 new spy photos have been added at the beginning of the gallery, below. 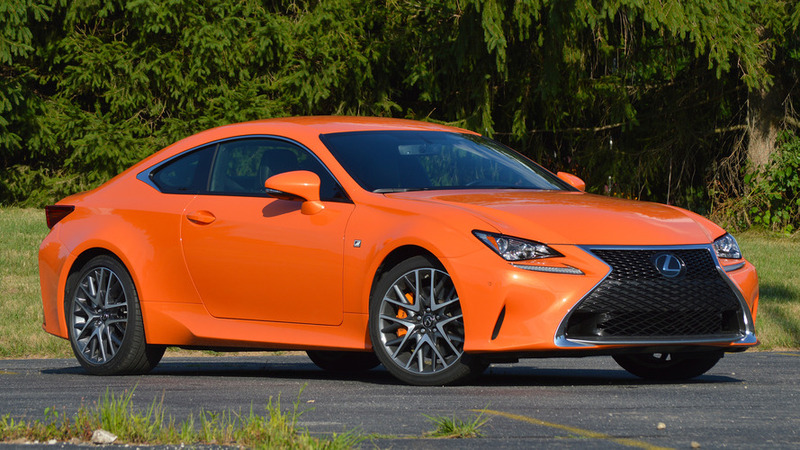 The Lexus RC F has lived on unmodified since its introduction in 2014. It's still the most powerful iteration of the RC coupe, and arguably still the best looking of the group. 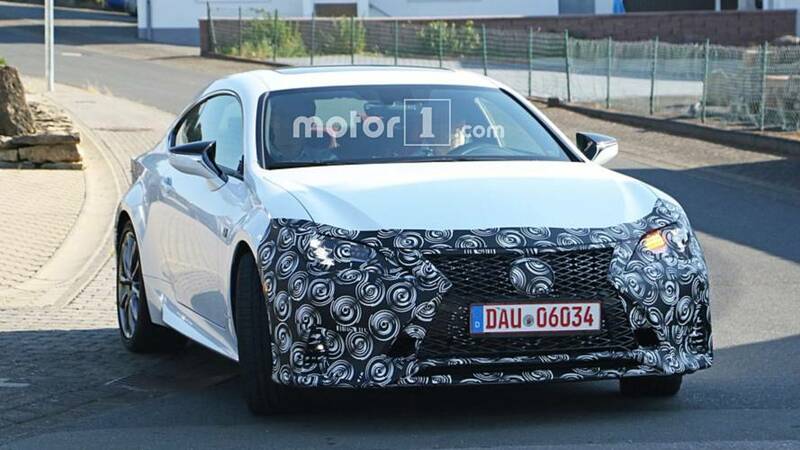 But it appears Lexus is giving its M4-rival an update; new spy photos show the coupe on public roads wearing a bit of camouflage. From the photos you can tell most of the car is unchanged, suggesting that this will be a minor makeover, not a full-on update. 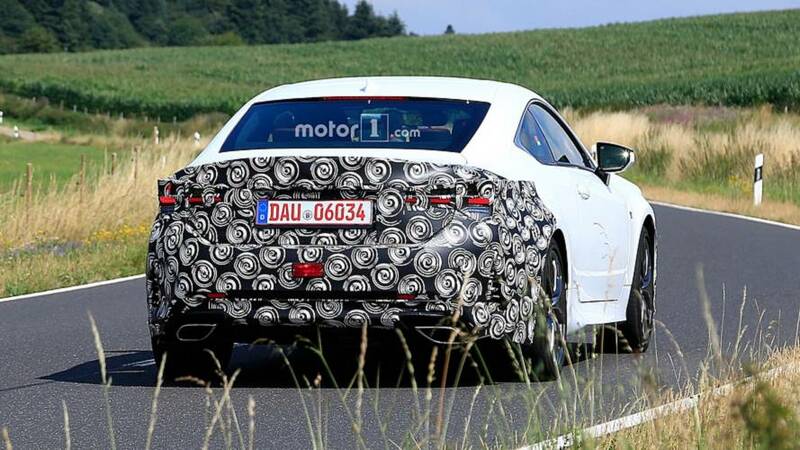 The headlights, though almost completely covered up, appear to have a sleeker shape reminiscent of the LC coupe. The LED swoosh appears to get the boot, too. The massive spindle grille soldiers on, with only an updated lower portion that gives it a slightly sharper look. The wheels are brand new (also similar to the LC), and the taillights look to get a new treatment alongside some updating to the sheet metal. In terms of power, don't expect any major changes. The same 5.0-liter V8 should carry over. Currently, it produces 467 horsepower, but for 2019 that number could improve. 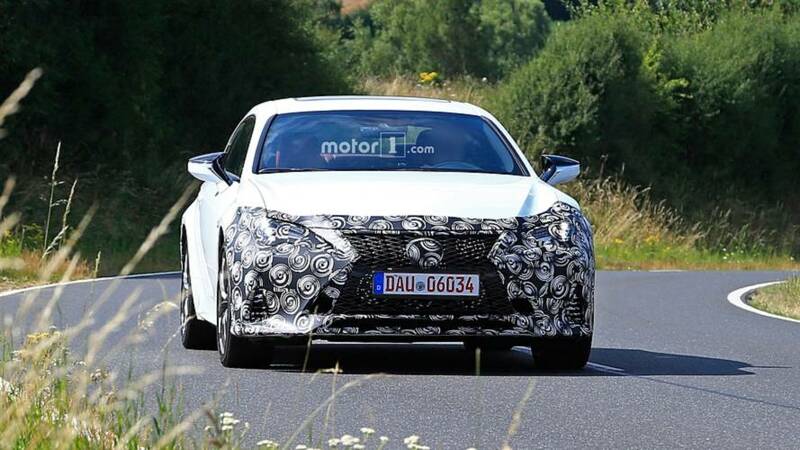 Don't expect anything like a more-powerful turbocharged engine, though; Lexus offers a turbocharged 2.0-liter on the RC exclusively, but it only produces 241 bhp (179 kW) and 258 lb-ft (349 Nm) of torque. The new 2019 model should show up in just a few months. Rumors suggest we could see it in the sheet metal at the Paris Motor Show in September. We'll have to wait a bit longer for the rest of the range to get an update. Lexus just released a special edition Black Edition package at the Geneva Motor Show.